A fast passenger plane, the Bv 144 was designed as a successor to the Junkers Ju 52/3m as transport aircraft. The project started in 1940 and was reworked in winter 1940-41. Two prototypes were built. Because of the war situation, the design work was made mostly by French engineers in Hamburg. Two aircraft were made in France by the Louis Breguet Aircraft Company at Anglet near Bayonne. The first machine made its first flight in August 1944, but due to the liberation of France by the Allies in the summer of 1944, all testing was cancelled. 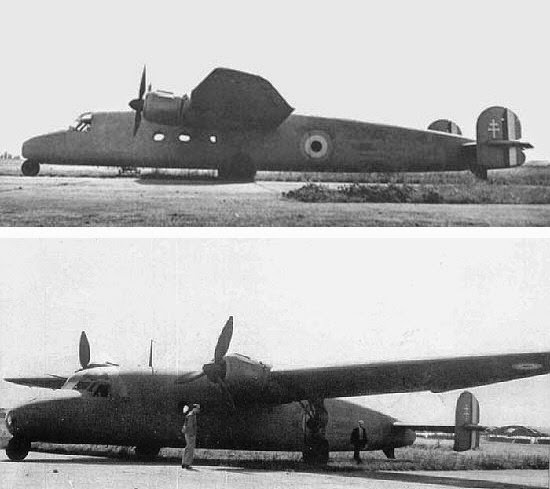 Despite the advanced design, both prototype airliners were scrapped after the German withdrawal. The Bv 144 would have had a crew of three and a capacity of eighteen passengers. It was powered by two 1,600-hp BMW 801MA 18-cylinder two-row radial piston engines, would have had an estimated speed of 470 km/h (292 mph), and a range of 1,550 km (963 miles). Span was 26.9 m (88 ft 7 in), length was 21.9 m (71 ft 6.5 in), height was 5.1 m (15 ft 8 in), and empty weight was 7,900 kg (17,416 lbs).